Cabbage juice is known for its many health benefits in spite of its rather bitter taste. Cabbages belong to the cruciferous vegetable family, which also includes cauliflowers and broccoli. These vegetables contain a lot of phytochemicals and micronutrients, which are known for their medicinal properties. L-glutamine and gefarnate in cabbage juice can protect the lining of the stomach. Cabbage juice may be fermented to encourage probiotic growth that helps improve your digestive health. Boil water for about 30 minutes. It is best to use distilled water or one that is chlorine-free and with no additives. Boiling tap water removes undesirable elements. You may also use a water filter or leave water at room temperature for about 24 hours. Combine chopped cabbage and water in a large blender to allow the ingredients to blend thoroughly. Blend at low speed and stop when the water turns green, with chunks of floating cabbage (about 1-2 minutes). Blend on high speed for ten seconds only, leaving few small cabbage pieces floating in the juice. Pour mixture into a 1-liter jar, leaving at least 1 inch between the surface of the mixture and the top of the jar. Seal tightly with plastic wrap or a lid. You can also stretch the plastic wrap over the top of the jar then screw the cap on for a tighter seal. Let the cabbage mixture sit at room temperature (between 68-78F and 20-25.6 C) while undisturbed. Allow the mixture to sit for 72 hours (3 days) to induce fermentation, which will encourage growth of probiotic cultures that will improve digestive health. Strain the juice from the solid particles. Pour pulpy liquid slowly through a strainer into a second jar. Put a cap on the jar. Store cabbage juice in the refrigerator and serve chilled. Repeat the process when your supply is low, but reserve 1/2 cup of the original batch. Add this to the new batch prior to fermentation. Now you can allow the new batch to ferment only for 24 hours before you strain. By adding the cultured juice from the previous batch, you speed up time for the new batch to ferment. 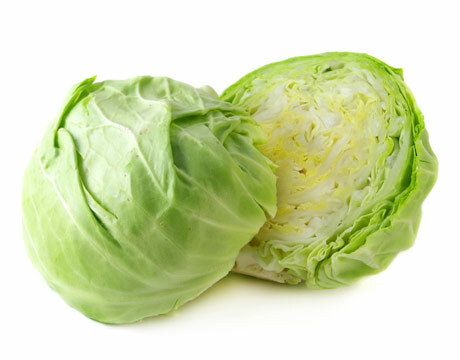 Drinking cabbage juice is not associated with significant side effects. However, some people report an increase in gas. To avoid this, you can try diluting your juice with water (1 part water for every 4 parts cabbage juice). You can also make your juice tastier by juicing two carrots or an apple with cabbage.